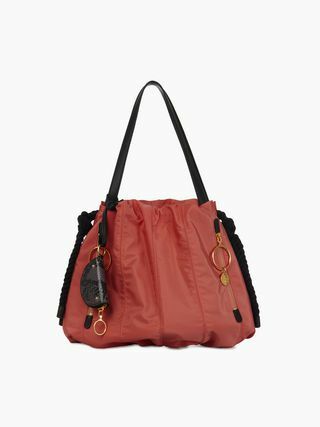 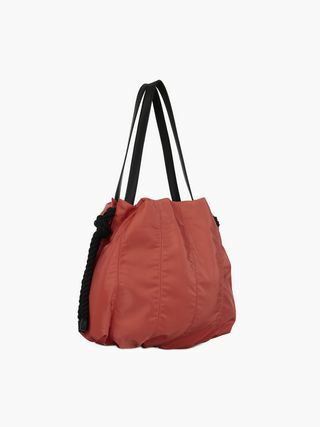 Mini Flo shoulder bag in textured nylon with coated fabric double straps for cross-body and hand carry. 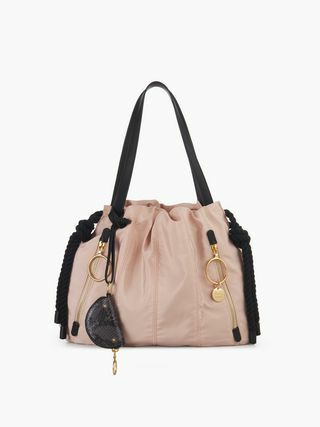 The compact interior is closed with a decorative black drawstring. 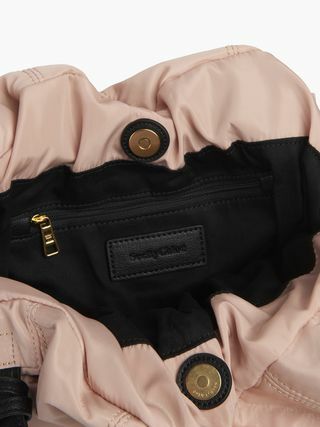 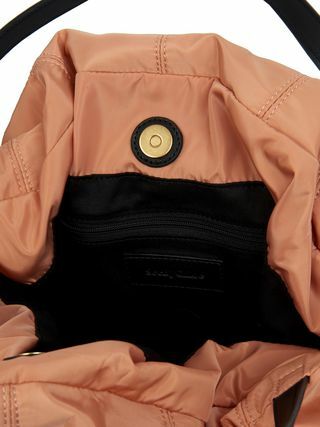 Two zipped front pockets are adorned with bold O-ring pullers. 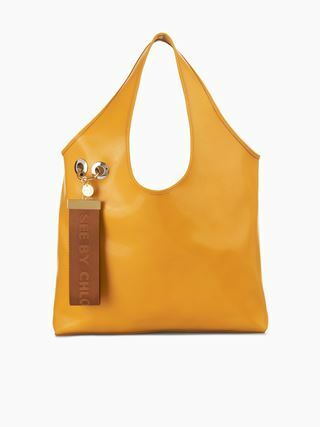 Comes with a removable python-print coin purse.